There’s a thin line between having a lightbulb moment and being too inspired. I previously touched on this topic a while back, but from a slightly different point of view. In my previous post, I promoted being truly inspired and having lightbulb moments, but made it very clear that there’s a distinct difference in being inspired and copying or mirroring someone. Lately, I seen many creatives and bloggers frustrated by encountering this very issue in their creative space. Heck, I’ve experienced it myself lately, as well as in the past. 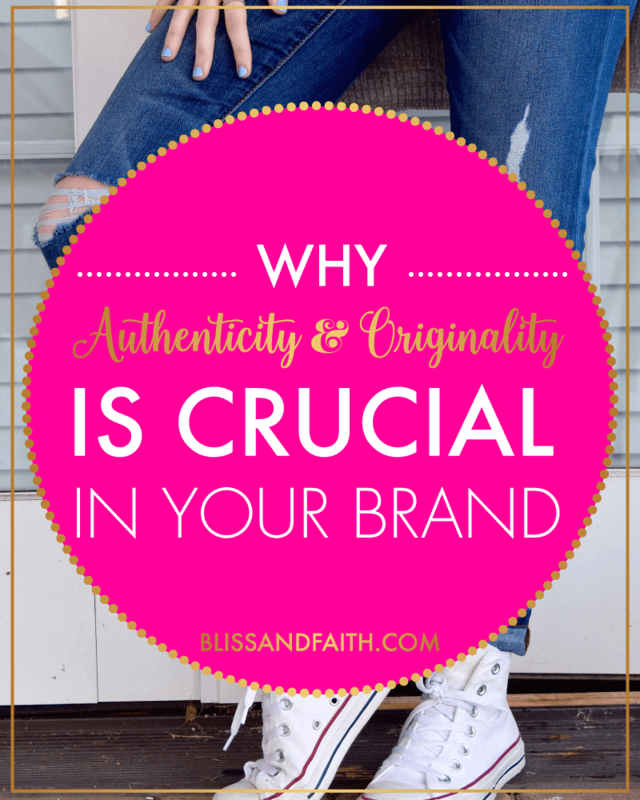 This is why authenticity and originality is so important to me in all of my creative work and it should be to you too! I never like to think that people have ill intentions when it comes to things. Though my pessimistic nature makes me not very trusting of people, I don’t believe that all people are up to no good. I’d gather to say that the bulk of people that are guilty of being too inspired aren’t trying to impose on someone’s territory. I’m a strong believer that there is room for all of us, and there truly is. If you’re a creative and you think you’re the only big guy in the game, you will soon be sorely disappointed. There will always be someone new on the come-up, who just may seemingly do things a little better than you or even similar to you. The one thing you should not do is, feel threatened by them. Definitely don’t put yourself in a position where you make a brash decision regarding the matter and react negatively. It’s bad business and will make you look insecure, and not confident in your own work. There have been times when I’ve either seen on Etsy or in the blogosphere people be too inspired by me or flat out swipe an idea, concept, or even design element from me. Did I reach out to them and call them out, absolutely not. I remained professional and took a classy approach to the issue, not giving it energy. I took that energy and used it to up my game and push my limits of creativity even further. Was it annoying, frustrating even? Yes! I’m human after all and no one likes to feel as if someone stole from them or is trying to copy them. As humans, we are uniquely built, meaning no two people are just alike…even twins. You can try to be someone else, but you will never be, you can only be you. It’s a waste of time to try. Don’t get me wrong, I’m not saying you can’t be inspired, but understand the difference. For example, when I think of inspiration I think of a beautiful flower field and all of the colors in it. That flower field with all of those colors inspires me to create an inspiration and mood board based on those colors. I don’t look at someone else’s mood and inspiration board and try to duplicate it. Is it okay for me to do an inspiration and mood board, yes because that’s a public domain thing. No one owns the rights or is the “boss” of inspiration and mood boards. However, it is not okay for me to look at someone else’s and take from it or do it in the same fashion as theirs. If you’re going to do something that someone else is doing, make sure you do it in your own way with your own twist. If you can’t do that, then don’t do it at all. Wait until you can, and do it then. If you find yourself too inspired, take a step back and distance or remove yourself from those people or resources. If it means unfollowing them on social media, unsubscribing from their blog, or not not visiting their site or store, its for the best. I’ve had to do it myself, because you don’t want to risk inadvertently using someone else’s idea or concept (at least without their permission). It can be completely innocent, but I can bet you a hundred dollars that the individual won’t see it that way, that’s just the way people tend to be. I think any logical person would feel the same way. Being inspired is great, that’s what makes the world such a beautiful place. There are so many good ideas that have yet to be executed, why use someone else’s? Sometimes, all it takes is a little patience to get your creative juices flowing. Don’t let someone else’s flow in your space. You want everything that has your name on it to be all YOU, and only you. See a great idea, use it for inspiration, but make it better. Always have the good, better, best mantra in your head. A good idea is just that, but yours can be better, and potentially the best. Put energy into to making it your best and be happy with you. A good idea is just that, but yours can be better, and potentially the best. Put energy into to making it your best and be happy with you. Comparison, much like money is at the root of much evil. Don’t do it, don’t try to be like someone else. Be original, be authentic, be creative and don’t let anyone push you or make you feel like you should be any different and don’t allow yourself to feel to do so either. Be original, be authentic, be creative and don’t let anyone push you or make you feel like you should be any different and don’t allow yourself to feel to do so either. I’d love to hear you thoughts! Have you encountered a situation like this? Are you struggling with this very problem? Having trouble finding your own authentic creativity? – I’d love to help! Drop me a line! Wonderful post, Tenns! I think there is definitely a fine line, and sadly people get as close as they can to that line or step over it altogether. I have no problem with a little “inspiration”, but like you I have heard and seen some straight-up Etsy/blog jacking going on… not cool. Hi! I am so grateful to have come across your Instagram feed and now this blog post. I blogged for years casually, and just started to rebrand it. I had been putting so much time into my blog with no real purpose or direction so it was about time to really try to brand it and build an audience. I completely relate to what you have written here! It’s so easy to get caught up in comparing…and then even inadvertently letting that influence what I want to do. This post was so uplifting and encouraging to know I’m not the only one who has felt this way! Thank you! Excellent post. Yes it has happened to me. you are right to not give such things your energy! !